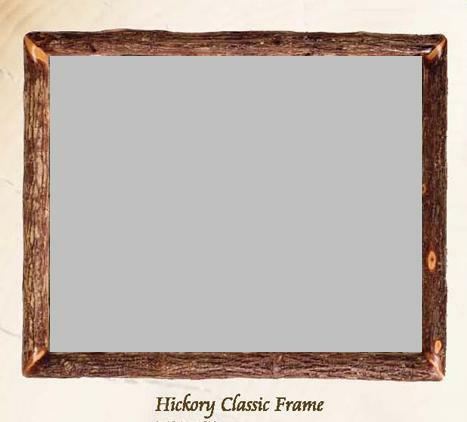 Simple hickory wood with mitered corners gives this mirror its simple beauty. Available in multiple sizes, price shown is for 18 x 22 outside diameter size. Please call for pricing on frame only. Made in the USA!